Codex Calixtinus is considered to be the first Camino de Santiago guidebook. Written in the 12th Century, the Codex Calixtinus is divided in five sections or ‘books’. Book 5 covers in great detail the pilgrimage to Santiago de Compostela along the French Way route, the Camino Francés. The Codex, also known as the Book of St James, is kept in the Cathedral of Santiago de Compostela and it’s an authentic practical travel guide for the Medieval pilgrim: listing sanctuaries worth visiting along the way, including notes on food, local customs and other travel advice such as hospitality tips. 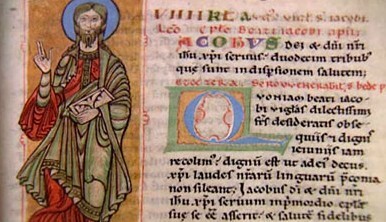 While the Codex Calixtinus takes its name after Pope Calixtus II, it is now believed to have been written by French cleric Aymeric Picaud, and not the Pope. For more information about the Camino de Santiago walking and cycling routes please contact one of our Travel Specialists. Where can I buy the travel guide?